Omarosa Manigault-Newman has struck a chord of fear in President Donald Trump that rivals the fear he has struck in others. She has done so by using many of his own tactics against him: Deceit, intimidation, media manipulation. Syndicated Columnist Mark Shields noted on the August 17 edition of The PBS Newshour: “In a White House where most of the people are recent acquaintances of the president, she goes back longer than anybody, except the president’s daughter. She goes back 15 years. She is a Donald Trump protege and product…. “But what she does, obviously, like Elizabeth Warren, she gets under Donald Trump’s skin. And she has said things that, you know, may be subject to fact-check, but the reality is, she has tape. “She has tape of Donald Trump groveling before her, pretending that he didn’t know that John Kelly had the day before brought her to the Situation Room…which therefore confirms the suspicion widely held that Donald Trump doesn’t have the stomach for confronting people who work for him, that he lies. New York Times Columnist David Brooks, speaking on the same episode of The Newshour, outlined why her attacks on Trump have been so effective. “Well, what’s interesting about her is, she plays by reality show rules. She plays by Trump rules. And most people who go against Trump don’t quite play by his rules. And she plays by his rules, which is no rules, that do whatever you can, it doesn’t matter what the norms and standards are. “And taping somebody in the Situation Room is a rather serious offense and, to me, a pretty great betrayal of any—how any White House should work. I mean, if we’re walking around each other in the hallway taping each other, just think about doing that. Donald Trump has always used fear to instill and maintain loyalty among his closest associates—and to intimidate his many enemies. “Still, a prince should make himself feared in such a way that if he does not gain love, he at any rate avoids hatred, for fear and the absence of hatred may well go together. 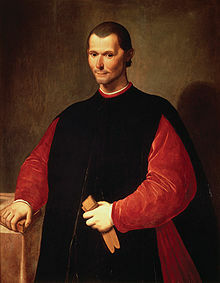 “Cruelties ill committed are those which, although at first few, increase rather than diminish with time….In taking a state, the conqueror must arrange to commit all his cruelties at once, so as not to have to recur to them very day, and so as to be able, by not making fresh changes, to reassure people and win them over by benefiting them. Omarosa is the first former Trump loyalist to emerge as a fervent Trump critic. And she may have even worse in store for him. With Democratic voters—many of them blacks and Hispanics—energized, Trump’s obvious racism could sweep Republicans from the House of Representatives. Omarosa seems determined to make that happen.